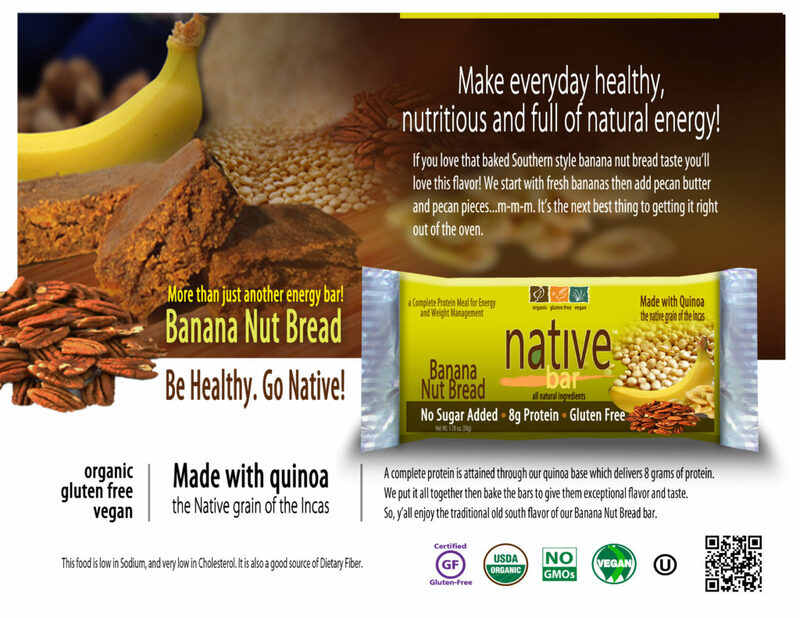 Until Native Bar was created it was impossible to find an energy bar that was Gluten Free, Non-GMO and Wholesome. We started with the idea that an all-natural and convenient energy bar could be nourishing and taste great. So Anthony took his knowledge as a classically trained chef, and went to work. What he developed was an organic gourmet product that is very nutritious and provides the body with energy. And it’s GOOD energy that’s good for you. It’s derived from natural protein, natural carbohydrates, and natural fats that our bodies need to burn, to fuel activity. Native Bars are also designed to satisfy your body with the same result as if you ate a small meal. When you need an energy boost during the day or before or after an exercise session, Native Bars actually do more for you than ordinary food would. And the taste is a BIG part of why they are so satisfying. When it comes to energy snacks, Native Bars have a nutritional edge over any other comparable bars, drinks, energy powders or meal supplements. You can rely upon Native Bars to supply high-quality nutrition, even as a complete meal. Most bars have too few real ingredients needed to really qualify as a meal, but Native Bars meet or exceed all of the nutrition values your body needs for the day. What is Native all About? Taste! If it doesn’t taste good, why bother to eat it? Anthony wanted a gourmet, all-natural energy bar that was truly good for people. While developing Native Bars; taste, texture and flavor were always the 3 main components. He sought to create a delicious, high-quality food product which would provide people a boost of energy to sustain them throughout a grueling workout. Meanwhile, it would be light enough to eat before a yoga class, or just enjoyable enough to snack on in the afternoon. We believe through a lot of hard work, we have developed a few great ones! The Native Bar can truly have life changing results, see for yourself! 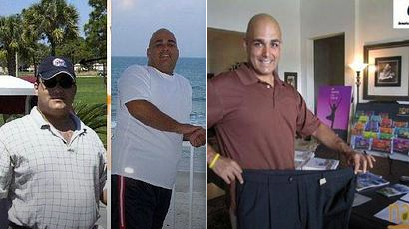 Anthony has now lost well over 100 pounds and kept it off! A few years ago Anthony had major hip surgery. Because he was inactive, combined with some unhealthy eating, Anthony gained a significant amount of weight. Eventually he decided it was time to make a life change. He went to work to create a healthy energy snack to give him the fuel to workout, and get his life back on track. What happened next was a giant surprise to him. The snack bar gave him energy and his hunger was also satisfied. Fast forward a couple of years he is keeping a balanced diet and with the help of his Native Bar. Anthony has now lost well over 100 pounds. WOW, Go Native!! Eating healthy doesn’t mean you have to give up flavor. Anthony J. Ippolito, our Founder & CEO, is living proof of that. Anthony is degreed culinary expert from the prestigious Johnson & Wales University, which is a top 10 ranked culinary school in the United States. While attending JWU, he became very knowledgeable about nutrition and well as skills in the kitchen, which led him to success in the culinary world. To learn more about Johnson & Wales University click here.